Characters: Lord Canterville, Mr Otis, Mrs Otis, Virginia, James, Lewis, Clark, (Lewis and Clark are twins), Mrs Umney and Sir Simon (the ghost). Lord Canterville: Well, it looks like we have a deal, Mr Otis. The castle is yours. Virginia: It is so exciting. James: If a child enters the secret room and stays until dead of night. Lewis: Then at last Sir Simon can sleep in his tomb and at Canterville all will be alright. Clark: What does that mean? Mrs Otis: I’m terribly sorry, Mrs Umney. I think I spilled something on your carpet. Mrs Umney: That’s not tea, it is blood. Mrs Umney: I’m afraid that is impossible. That is the blood of Lady Eleanor Canterville. She was murdered by her husband Sir Simon Canterville 500 years ago. Then, Sir Simon disappeared and his body has never been found. They say his spirit haunts the house. Mr Otis: Maybe the house is haunted after all. Mr Otis: Oh, you must be Sir Simon. Mr. Otis: Here, take this bottle of oil (he hands the bottle to the ghost) and oil your chains. They are making too much noise. I can’t sleep. Sir Simon: Well, I never. I have been scaring people for nearly 500 years and I have never been treated like this. Don’t worry, I will get my revenge. Mrs Otis: Children, you mustn’t be frightened of the ghost. Sir Simon: I will exact my revenge on those pesky children. Lewis: We haven’t seen the ghost for ages. Clark: I think maybe we scared in off for good. Sir Simon: Because your brothers keep playing nasty tricks on me. Virginia: They would stop if you behaved yourself. Sir Simon: But I’m a ghost. I have to rattle my chains and moan and groan and walk around at night. Virginia: You have been wicked. You murdered your wife. It’s wrong to kill people. Sir Simon: I know but her brother captured me and starved me to death. Sir Simon: Please help me. I’m so unhappy and so very tired. Virginia: Have you not slept? Sir Simon: I haven’t slept for 500 years. Virginia: I don’t know how I can help. Sir Simon: You could. Do you remember the note you found? Virginia: (Takes it out of her pocket and reads it.) But I don’t know what it means. Sir Simon: It means that you must come with me to my chamber and pray for me. Virginia: That sound easy enough. Sir Simon: No person has ever entered the chamber and come out alive. Virginia: I’ll come with you. Mrs Otis: Where is she? Mr Otis: I’m getting worried. Mrs Otis: Where have you been? Lord Canterville: Finally he is at peace. Virginia: He is happy at last. 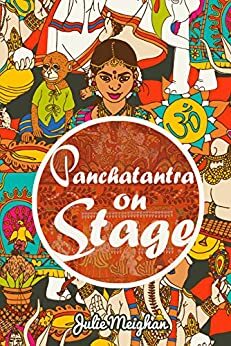 For more plays based on Oscar Wilde’s stories click on the link below. Communication drama games have a vital role to play in the ESL classroom. These activities help the learners to speak with and listen to other learners. The purpose of the following activities is for the students to find information, break down barriers and talk about themselves in a relaxed manner. The language areas that are practiced in this section are questions, conditionals, past and present simple tenses, past and present continuous tenses, there is/there are, expressions for giving opinions and negotiating. Other benefits: This activity allows the students to practice forming questions and responding in an appropriate manner. • What type of dog is it? • Where did you get him from? • What type of personality does he have? • What dog tricks can he do? Can you show us? • Why should you dog win the show? The judge/teacher can decide at the end of the activity who wins the show. The winner/winners can take a photo at the end with their dogs. This is a still image (see Drama Techniques section). Other benefits: This game focuses on question formation as well as practising communicating in a spontaneous manner. Instructions: Explain what an alibi means. Create a crime scene scenario. Divide the class into groups of 4 or 5. Get one group to be the suspects and send them out of the room to get their story straight. While the suspects are getting their story straight, get the other group to be the investigators. They must compile a series of questions. After the students are finished preparing their questions, invite the suspects back and the interrogation begins. Each group interviews each suspect and then they compare notes and decide whose story didn’t match up; they must come to a consensus on who they will officially accuse. Extension: More advanced students could hold a trial in which each group is assigned different roles. Other benefits: The language focus of this game is to practice the conditional tense. Instructions: Everyone sits in a circle and one by one each student says, “If I were an animal, I would be a ______” and then states a reason. • If I were a kitchen utensil, I would be ……. • If I were a sport, I would be ……. • If I were a country, I would be ……. • If I were a hobby, I would be…. • If I were a flower, I would be ……. • If I were an item of clothing, I would be……. • If I were a body part, I would be……. 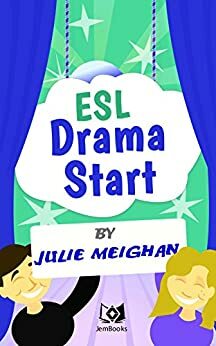 For more Esl Drama ideas click on the link below.